Come check out the programs that will help prepare you for the future! Career and Technical Education programs provide students with the opportunity to explore a career interest and develop specialized skills through hands-on learning and integrated academics. Below are ways you can find out if a program is right for you. Attend an Information Session: A representative from Questar will be at your school for a career/technical education information session, held during school time. Be sure to see your school counselor for dates. 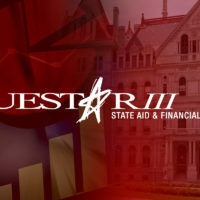 Check out questar.org: Information about all Questar III schools and programs, as well as current activities, are listed on our website. Talk with your Family: This is a good time to speak with your parents or guardian about the program(s) that interest you and your future career plans. 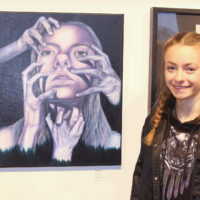 Attend an Open House: Come to our evening Open House, held annually in January or February, with your parents to check out the programs at our Educational Centers. You can meet with Questar III teachers, current students, and counselors who will be able to answer your questions. Meet with your School Counselor: Let your school counselor know that you are interested in Questar III programs so you can work together to gather all the information you need to enroll. Take a Tour: Sign up with your school counselor for a tour of the Educational Center and to spend a half-day in the program that interests you. *Note: New Visions application process and timeline are different. Go to the New Visions page or contact Kim Sparkman (kim.sparkman@questar.org) for more information.